Washington - U.S. Special Counsel Robert Mueller may provide new details on Friday on how two of President Donald Trump’s closest former aides have helped or hindered his investigation into possible collusion between Russia and Trump’s 2016 election campaign. Also on Friday, Mueller’s office and the U.S. Attorney from the Southern District of New York are to file sentencing memos on Michael Cohen, Trump’s former private lawyer. Cohen pleaded guilty to financial crimes in federal court in New York in August, and last week he pleaded guilty to lying to Congress in a Mueller case. Sentencing for both of those cases will be handled by one judge. Muller may disclose new information to supplement Cohen’s admission last week that he sought help from the Kremlin for a Trump skyscraper in Moscow late into the 2016 campaign. 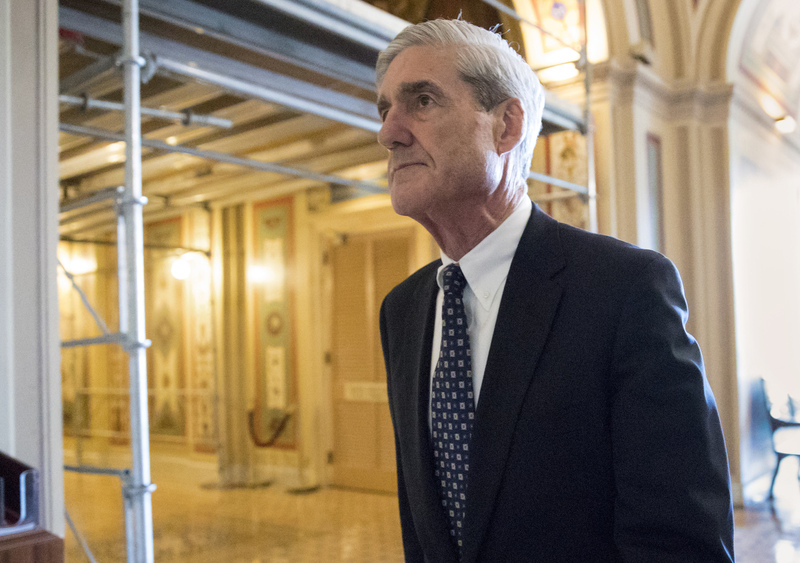 Mueller’s probe has infuriated Trump, who has regularly issued tweets criticizing Muller and his team. The president has denied any collusion between his team and Russia, and accuses Mueller’s prosecutors of pressuring his former aides to lie about him, his election campaign and his business dealings. Representatives for the U.S. Justice Department and the U.S. Special Counsel’s Office declined to comment on Trump’s tweets. The filings on Cohen and Manafort follow a sentencing memo earlier this week regarding Trump’s former national security adviser, Michael Flynn. Cohen’s lawyers also argued that celebrities engaged in similar tax evasion cases - one of the core charges against him - have faced only civil penalties. The lawyers said his financial crimes were unsophisticated, noting no overseas accounts were used. Mariotti, the former prosecutor, said he expected Mueller’s office to be unsparing in its submission on Friday. Unfortunately whats playing out with trump is what happens too often in our own community. Prosectuers looking to advance their career will use anyone of their muscles to flex and advance their career. Here is the way it goes in our community. They want to lock up some big guns. So they grab another yid whom they can find a gotthca moment (like he missed something on his taxes) And they will tell you he violated 50 statutes. Then they even find something on his wife. They threaten to lock up both you and your wife ( a mother of kids) for 25 yrs. But if you rat and snitch on someone then we will cut you a deal. Now you are fced with the choice of being another Dweck or a moser or shleping your wife thru court and risking the strong possibilty of your kids being "liebdik yesomim". Its a terrible spot to be in and i pray that hashem spear me their rod. “ Unfortunately whats playing out with trump is what happens too often in our own community. Prosectuers looking to advance their career will use anyone of their muscles to flex and advance their career. Here is the way it goes in our community. They want to lock up some big guns. So they grab another yid whom they can find a gotthca moment (like he missed something on his taxes) And they will tell you he violated 50 statutes. Then they even find something on his wife. They threaten to lock up both you and your wife ( a mother of kids) for 25 yrs. But if you rat and snitch on someone then we will cut you a deal. Now you are fced with the choice of being another Dweck or a moser or shleping your wife thru court and risking the strong possibilty of your kids being "liebdik yesomim". Its a terrible spot to be in and i pray that hashem spear me their rod. "Don’t fool yourself,” Andrea wrote to her sister, according to the texts. “That money we have is blood money.” “You know he has killed people in Ukraine? Knowingly,” she continued, according to the reviewed texts. “As a tactic to outrage the world and get focus on Ukraine. Remember when there were all those deaths taking place. A while back. About a year ago. Revolts and what not. Do you know whose *strategy that was to cause that, to send those people out and get them slaughtered." "In March 2015, Andrea said their father had “no moral or legal compass." Yeah, our system is corrupt. We let Manafort represent mass murderers from the comfort of a Washington, D.C. office and let Roger Stone slander and lie for decades. Manafort didn't just lie on his taxes (8 counts of tax and bank fraud), but he lied to prosecutors after pleading guilty to conspiracy and witness tampering and agreeing to cooperate with prosecutors. Trump should not have surrounded himself with criminals and there would be no one to flip and cut a deal. There sure have been a lot of guilty pleas from his campaign staff and I very much doubt innocent people plead guilty. I read that Maria Butina in considering a plea deal and will also cooperate. I would never flip because I have high ethical standards, as we all should, and there is absolutely nothing that I could ever be charged with. Archie, what's the extent of your education? A Trump University graduate? “ Trump should not have surrounded himself with criminals and there would be no one to flip and cut a deal. There sure have been a lot of guilty pleas from his campaign staff and I very much doubt innocent people plead guilty. I read that Maria Butina in considering a plea deal and will also cooperate. Think.of the money we've wasted on this Russian collusion investigation. If only Trump would have releases his tax returns and proven he has no connections to Russia. Nonsense. Utter stupidty. You think anyone even with half of Trump's business dealings doesn't have some kind of error or glitch in his taxes? You are oblivious and a big talker.